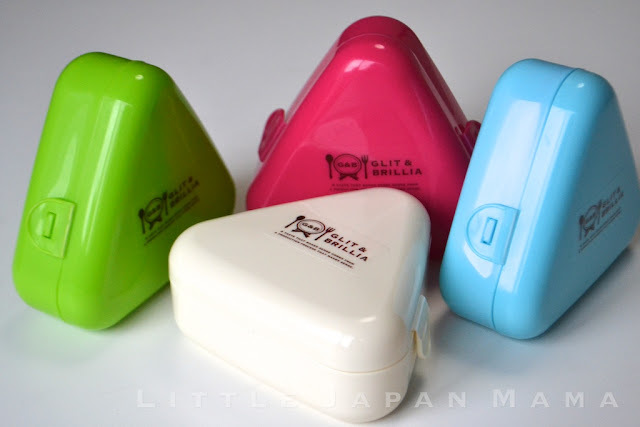 Onigiri are such an easy and economical snack to carry, and these cases will not only help you make perfect triangular onigiri, they'll also keep your onigiri in perfect shape while in your bag! These full-size onigiri cases create 9.3cm tall and 3~4cm thick triangular onigiri. 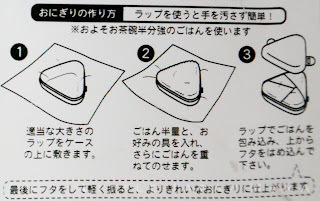 Place a square of plastic wrap over the lower half of the onigiri case, and press into corners. Using a rice paddle or spoon, press rice onto the wrap to fill the case, piling the rice higher than the top. 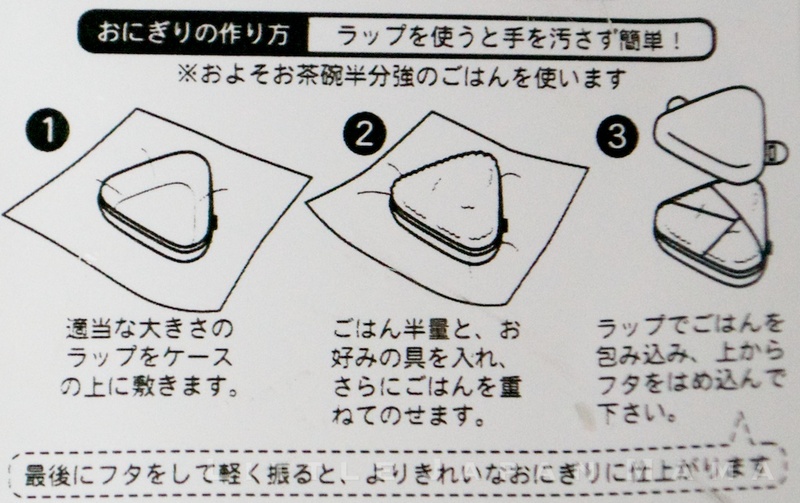 Close the plastic wrap over the rice, and press down on the wrap with your hands to flatten the top, creating a perfect triangular onigiri. You're done! Put the lid on. NORI: If you like, place 1/3 of a sheet of nori in the case, outside the plastic wrap. When you open the onigiri to eat it, transfer the onigiri from the plastic wrap onto the crisp fresh nori. CENTRE FILLINGS: It's easy to put a centre filling in your onigiri with this mold - eg Umeboshi, Cooked salted salmon etc. At step 2, half-fill the case with rice, place the centre filling in, then cover it with more rice. FURIKAKE COATING: After step 3, open the plastic wrap, sprinkle on furikake and close the wrap. 113 SORRY, ALL OUT OF STOCK! Hi Simon! 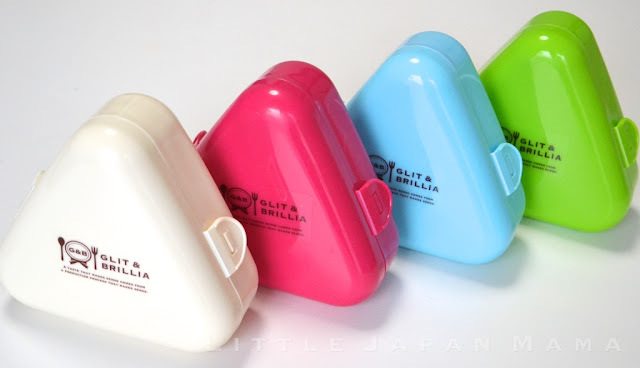 In the early days, the onigiri cases didn't sell as well as other items, so I stopped stocking them, and I've reduced my shop down to just the best-selling items. 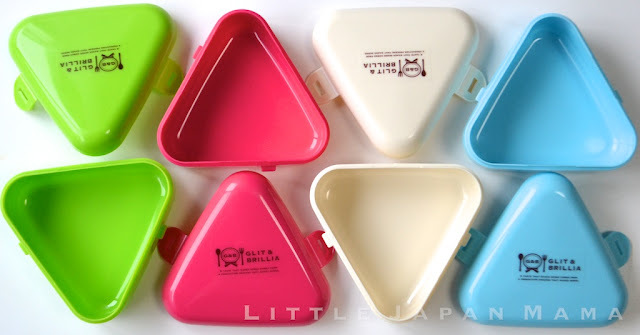 I noticed, however, that in the past month, the humble onigiri case has made it onto my 10 top hitting pages, so perhaps it's time to restock? No guarantee yet, but which colour are you interested in buying? Me too! If they were available I would buy a couple in a heartbeat. Pretty please restock! Hi Shinobu, I would like to also be able to order these when you can some more in.